The Juditta is a wheelchair with a seating concept for those patients who need to maintain a laying position for a long time. It has a tilt in space function and recline feature for the backrest which allows the user to assume a stable and comfortable position. 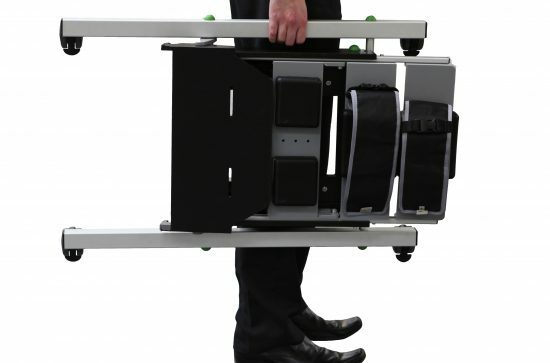 The Juditta is the alternative to bed; it is indicated for adult and elderly patients who need an extended or permanent stay in a wheelchair or in bed. The design of the Juditta is unique with its v- shaped backrest. The special structure of the backrest gives a proper alignment to the trunk and it does not generate any pressure on the spine. It provides greater stability without the need of side supports. It relieves and redistributes the pressure and increases the sitting position tolerance. 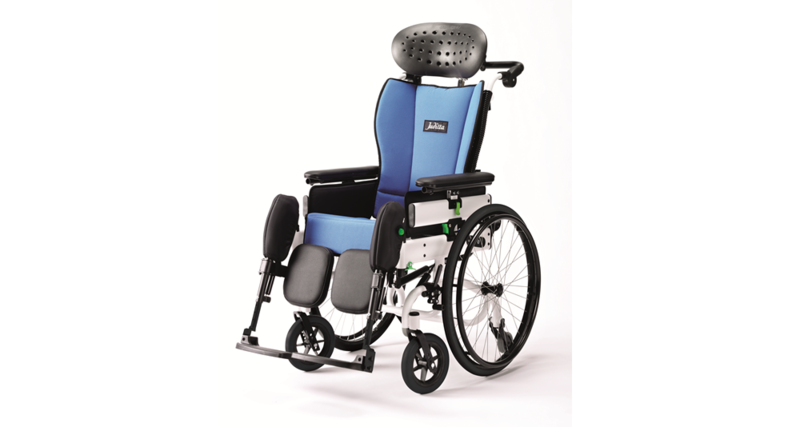 Tilting and reclining of the backrest make it possible to get the ideal supported position. This allows a variation of the pressure points and prevents from generating pressure sores. 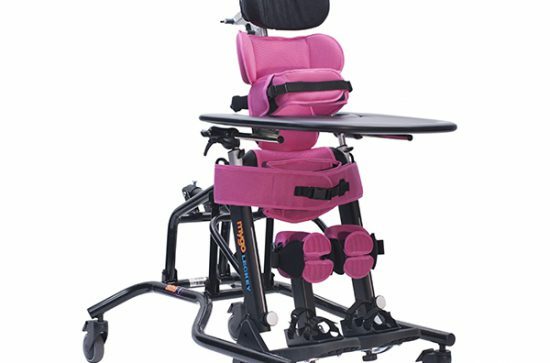 Tilting and recline are operated by two independent gas springs that absorb the user’s weight and make it easy to be handled by the caregiver. 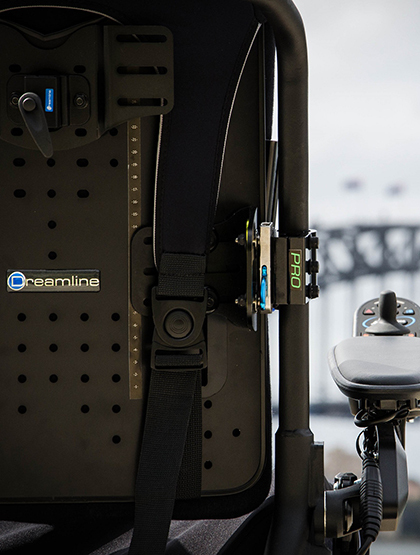 The user’s weight is well distributed between the seat and backrest, excluding pressure peaks on the ischial area. The backrest is made from semi-elastic material and the seat and backrest follows the anatomy of the user adapting to it without generating any pressure and/or rubbing. The covering and the upholstery are both highly breathable and allow the passage of the air and maintain an optimal microclimate. Many accessories are available for the Juditta. For more information please refer to the brochure. For more information you can view the brochure here or go to www.handirehab.com.au. If you would like to arrange a trial or would like more information, please email info@handirehab.com.au and we can arrange for a local supplier to contact you.